Location: Cypress Alley @ 24th St in San Francisco, Ca Artist: Ham Wod. Musk, Nite Owl. Location: 10th St @ Harrison in Oakland, Ca Artist: Nite Owl. Ham. 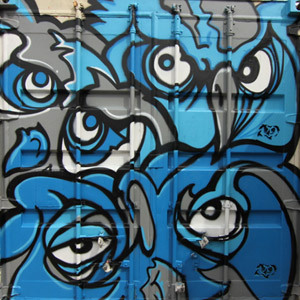 Location: Lilac Alley @ 24th St in San Francisco,CA Artist: Nite Owl. Maska. Location: Oakland, CA Artist: Nite Owl. Photographer: Graff Hunter. Nite Owl makes cool stickers that can be bought at Chopsticks Urban Art Space. Location: 25th St @ Telegraph in Oakland, Ca Artist: Ham. Maska. Nite Owl. Photographer: Nite Owl. Nite Owl also has an online store and photographs for fatcap.